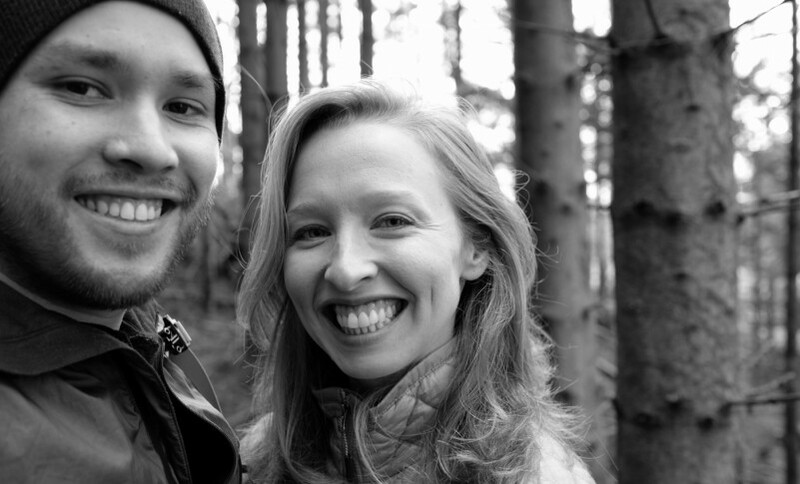 North to South is the adventure lifestyle blog of nomadic entrepreneurs Diana Southern Norman and Ian Norman. We choose Airbnbs over hotels and prefer seeking out tips and suggestions from locals rather than a tour agency. Hey there, I’m Diana, North to South’s creator and lead correspondent! I began travel blogging in March 2014, when I called it quits on my normal American life and set out to explore the world with my partner in crime (and love of my life), Ian. I started North to South to document our experiences traveling near and far to the places we’ve always dreamed of visiting, and to share those experiences freely with the world – family, friends, and curious strangers alike. I hope you’ll find something of value to you here on North to South. Have a question about a destination we’ve been to? Want to know more about my decision to quit my job to travel the world? I’m an open book, and I’d love to hear from you. Don’t hesitate to contact me. You can also find me on Facebook and Instagram. Here are some random fun facts about me. I love adventures, so I’ll try almost anything once. I eat vegetarian with the exception of must-try local foods. I went to college in sunny, laid-back Malibu. I can speak and understand Spanish pretty well. I have a dog named Tiger, a playful guy with a big ol’ heart and tiger stripes. My parents were kind enough to give him a home when I started traveling so I still get to hang out with him once in awhile. I prefer riding my bike over driving my car. We sold both when we started traveling, but after purchasing our Chicago condo, we both got some vintage road bikes again! I don’t watch much TV, but I love Netflix. My favorite foods are orange bell peppers and cheesecake. I absolutely hate the cold, but we picked Norway as our first destination. I’ve got a fantastic travel companion in my boyfriend fiancé husband Ian who shares my passion for travel and trying new things. I hate loud noises, but I blast music in the car at nearly full volume. My first time out of the U.S. was on a trip to Spain with my high school Spanish class. I was 17. I get antsy being in one place for too long. Below are a few of the common questions posed to us about our exciting journey transitioning from traditional American lives to full time travelers. WHAT INSPIRED US TO START TRAVELING? After each of us struggled to find joy in traditional American full-time jobs, we decided to call it quits and get out and explore the world. In early 2014, the risk of wasting our time and missing out on new experiences finally won us over. It outweighed the risks involved in taking a non-traditional leap out of the regular working world and into the world of travel and entrepreneurship. There were a lot of unanswered questions, but we were confident we’d figure it out. We picked a goal date (March 1, 2014), outlined a plan for our transition, and decided that if we stayed on track and pooled up some extra savings, we’d make the decision official at the beginning of February. After the first week of February, we’d already booked flights and a place to stay for our first month overseas. On March 2, 2014 (our two-year anniversary) we set out on our first adventure destination: the Norwegian fjords around Stord, Norway. Read more about our transition from average working Americans to full time travelers (with tips on how you can do it) here: Quit Your Job and Travel The World. HOW DO WE PLAN TO GET BY? With our creative entrepreneurship skills, of course! Yes, we’ve got money in savings, but it’s for emergencies only. A sustainable travel lifestyle is key to our success, so we plan to focus our energy on entrepreneurial endeavors that can be managed from anywhere (as long as there’s Internet access somewhere nearby). Check out LonelySpeck.com – currently our biggest ongoing online project, focused on sharing astrophotography knowledge and skills with others. While you’re at it, take a peek at StylishTravelGirl.com, my new site for fashionable traveling women, and PhotonCollective.com, our latest photography web project. WHAT ARE YOU GOING TO DO WITH ALL OF YOUR STUFF? Surprisingly, I think this is actually the question I was asked most frequently when we were preparing to leave on our first trip. Everyone was so concerned with what would become of our things! Well, we donated most items, sold a few things, and stored even fewer in a closet at my parents’ house. Aside from the stuff we packed for our first trip, we actually kept very little. Send me your question, and I’ll respond as quickly as our traveling lifestyle and Internet access allows!